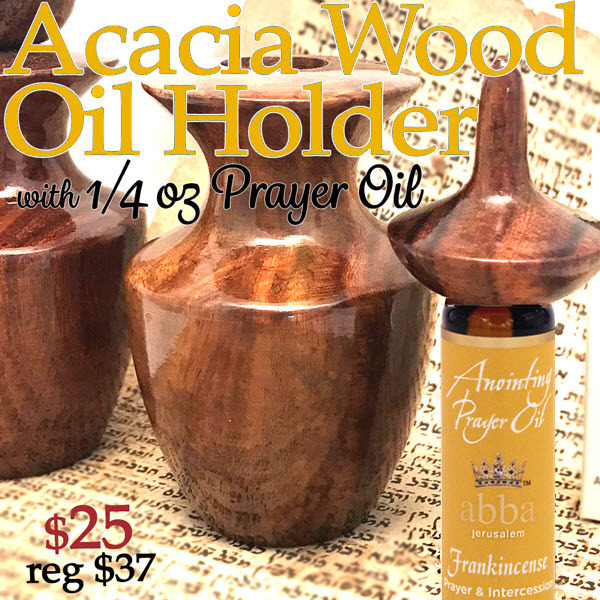 This lovely, hand-carved acacia wood oil holder 4.25" high with 1/4oz Anointing Oil and is packaged in a designer ivory box. The jar comes with a 1/4 oz anointing oil of your choice, which screws into the lid for safe keeping. Additional 1/4 oz scents can purchased for easy change out in the lid.